Considering patients’ needs and expectations in the process of healthcare delivery improves the quality of services. This study aimed to investigate the responsiveness of general public and private hospitals in Mashhad, Iran. In this cross-sectional and explanatory study, hospitalized patients (with at least 2 days of stay) in general private and public hospitals in Mashhad were investigated. In total 425 patients (259 from private and 166 from public hospitals) were selected using a stratified and simple random sampling. Standard responsiveness questionnaire was used as the data collection tool. Data were analysed using descriptive statistics, independent t-tests and ANOVA by SPSS 16 at a significance level of 0.05. Access to the social support during hospitalization as well as confidentiality of the patient’s information achieved the highest score (3.21±0.73) while the patient participation in decision-making process of treatment received the least score (2.34±1.24). Among the research population 1.6%, 4.1%, 17.6%, 63.3% and 13.2% commented on the responsiveness level as very low, low, moderate, good, and excellent, respectively. There was no significant difference between the overall responsiveness scores of public and private hospitals ( P ≥0.05). The hospitals have enough potential to improve various aspects of their responsiveness. We suggest a number of measures can help improve the non-clinical aspects of care. These include: using educational courses to improve the knowledge and attitudes of medical and nonmedical staff, changing the resource allocation method, and using quality tools such as reengineering to modify the healthcare delivery processes. 1. Oberst MT. Methodology in behavioral and psychosocial cancer research. Patients’ perceptions of care. Measurement of quality and satisfaction. Cancer 1984; 53: 2366-75. 3. Ware JE Jr. What information do consumers want and how will they use it? Med Care 1995; 33: JS25-30. 5. Hsu CC, Chen L, Hu YW, Yip W, Shu CC. The dimensions of responsiveness of a health system: a Taiwanese perspective. BMC Public Health 2006; 6: 72. 6. Rice N, Robone S, Smith PC. The measurement and comparison of health system responsiveness. Centre for Health Economics, University of York; 2008. 7. WHO. The World health report 2000: health systems: improving performance. Geneva: World health organization; 2000. 8. Rashidian A, Kavosi Z, Majdzadeh R. Assessing Health System Responsiveness: A Household Survey in 17th District of Tehran.Iran Red Crescent Medical Journal 2011; 13: 302-8. 10. Kowal P, Naidoo N, Williams SR, Chatterji S. Performance of the health system in China and Asia as measured by responsiveness. J Health 2011; 3: 638-47. 11. Naseer M, Zahidie A, Shaikh BT. 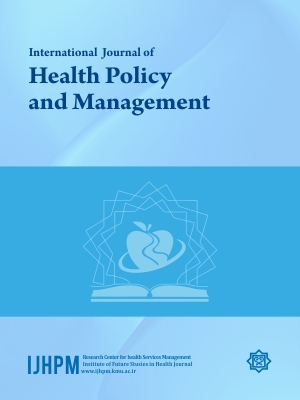 Determinants of patient’s satisfaction with health care system in Pakistan: A critical review. Pakistan J Public Health 2012; 2: 56-61. 13. Letkovicova H, Prasad A, Valentine N. The health systems analytical guidelines for survey in the multi-country survey study. Switzerland: World heath organization; 2005. 14. Gostin L, Hodge JVN, Nygren-Krug H. The Domains of Health Responsiveness -A Human Rights Analysis. Geneva: World Health Organization; 2002. 15. Third and fourth development plans [Online]. [database on the Internet]. 2010. Available from: http://hamahangi.behdasht.gov.ir/index.aspx?siteid=126&pageid=955/. 16. Javadi M, Karimi S, Raiesi A. Comparison of patients’ and nurses’ viewpoints about responsiveness among a sample from public and private hospitals of Isfahan.Iran Journal of Nurse and Midwifery Research 2011; 16: 273-7. 20. Whitehead J, Wheeler H. Patients’ experiences of privacy and dignity. Part 1: a literature review. Br J Nurs 2008; 17: 381-5. 23. Habibullah S. Responsiveness of the Federal Health System to the Needs of 18-45 Year Old Adults with Physical Disabilities in Islamabad, Pakistan. Graduate School Theses and Dissertations. University of South Florida; 2012. Available from: http://scholarcommons.usf.edu/etd/4059. 24. Ristea A-L, Stegaroiu I, Dinu V. Responsiveness of Health Systems: a Barometer of the Quality of Health Services. Quality Management in Services 2009; 6: 277-88.